One Christmas, I was serving as a bishop in a Provo, Utah, ward. Because I had never had much success in selecting and buying clothes for my wife, I had, for the past several years, cut out a paper doll, wrapped a twenty-dollar bill around it like a dress, and hung it on the tree as a special gift for her. In those days, twenty dollars would buy a pretty nice dress. But because of a tight budget this particular year, I had struggled for weeks to save the twenty dollars to hang on the tree. The day before Christmas, my plans changed suddenly when a man needing help came by my office. I could not reach my financial clerk to obtain fast offering funds, so I gave the man five of my twenty dollars so he could go home for Christmas. I tucked the remaining fifteen dollars away in my wallet, hoping it would do for a dress. I knew he needed his money as much as I needed mine, so I handed him my fifteen dollars and said a sad farewell to my wife’s Christmas dress. My disappointment over the dress lightened when the children finally settled down on Christmas Eve and we had set out their gifts for them. But when my wife went to get ready for bed at midnight, I sat moping in a chair for a few minutes because my traditional gift hadn’t worked out. Suddenly the thought came to me that I should look in my wallet again. There, where I had taken out the money to give to the home teacher, was fifteen dollars. I looked in another compartment and found another fifteen dollars. In the final compartment there was a twenty-dollar bill—making a total of fifty dollars that had not been there earlier! 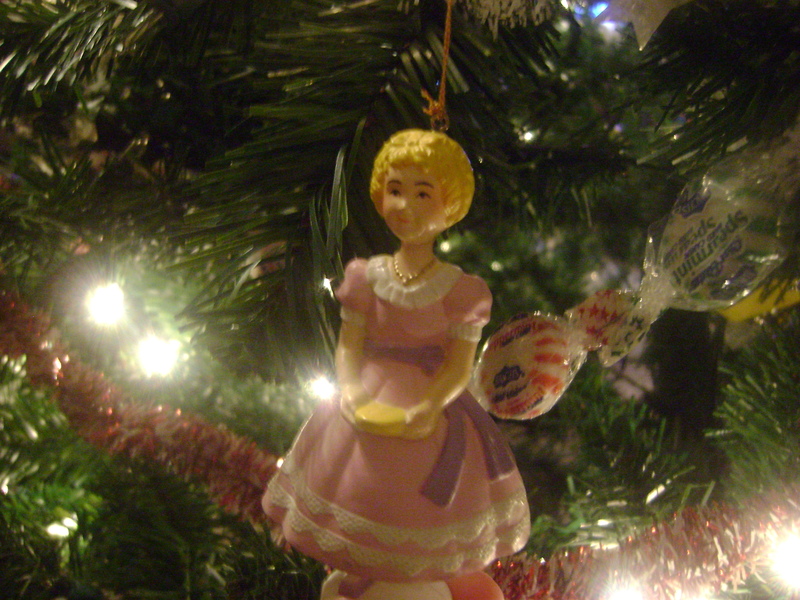 I wept in gratitude as I cut out a paper doll and hung it on the tree. That story touched me so much. Thank you for sharing it with us. I love this story!! Thanks for sharing today.